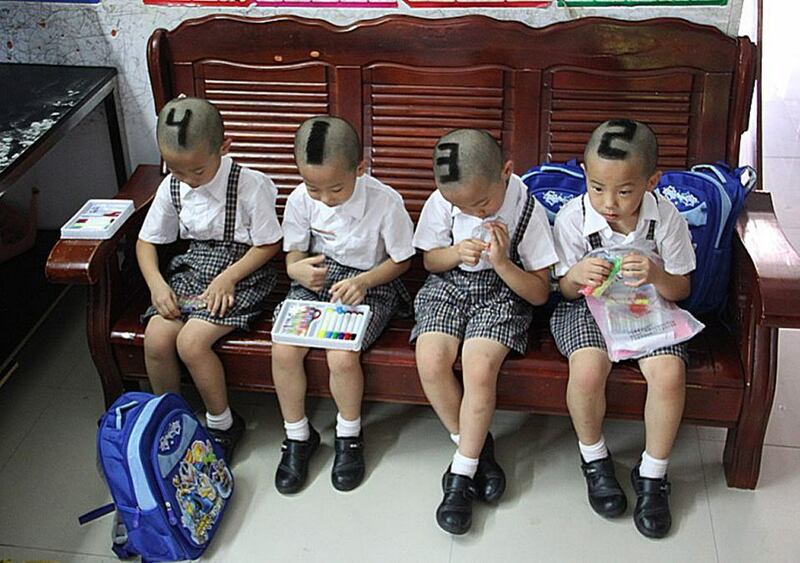 Check out SIX-YEAR-OLD QUADRUPLETS from Shenzhen, China with their hair shaved into numbers before they start school for the first time. Their parents decided to mark them with 1, 2, 3, 4 on their heads to make it easier for teachers and classmates to tell them apart. Ear Hustle 411 thought they were too adorable not to share.